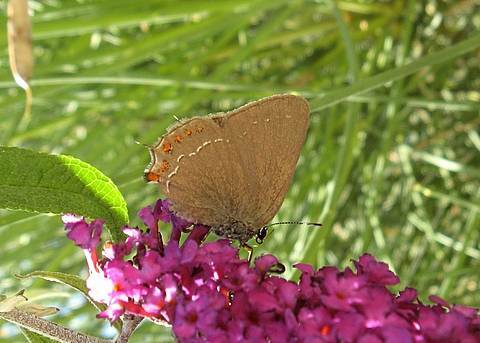 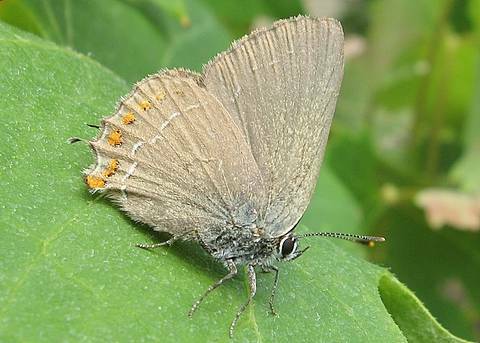 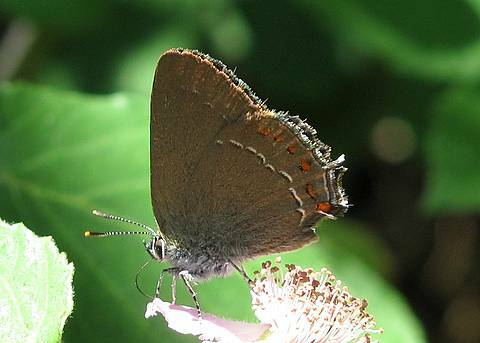 This species is rather similar to the Ilex Hairstreak (S.ilicis) but has a more southerly distribution. 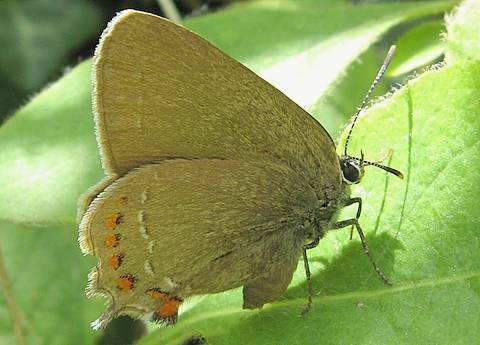 There are several good features to separate this species from ilicis. 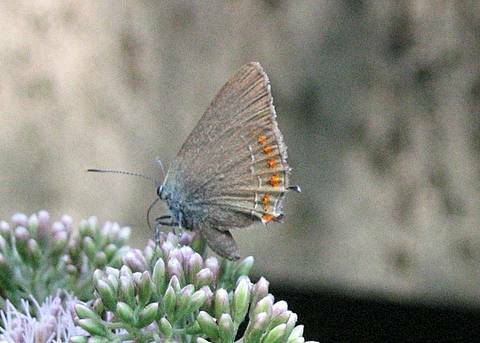 The forewing is generally unmarked or very lightly marked, the 'hairstreak' line on the hindwing is less erratic in esculi and the row of red spots are more regular and complete (reaching up to the apex)........these spots are rather smaller and brighter in esculi and are neatly bordered internally with a dark line.